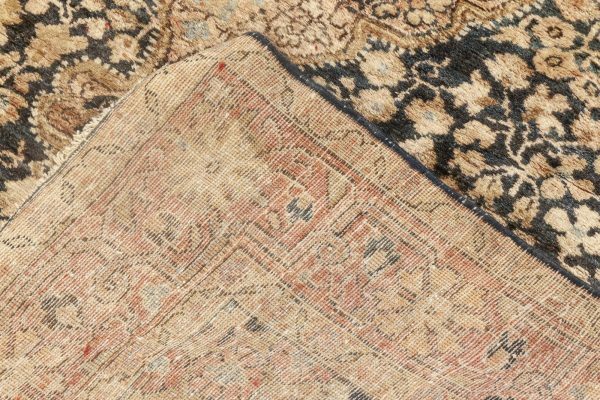 Praised for their beautiful designs, Kirman rugs are considered to be one of the most sought-after types of antique Persian rugs. 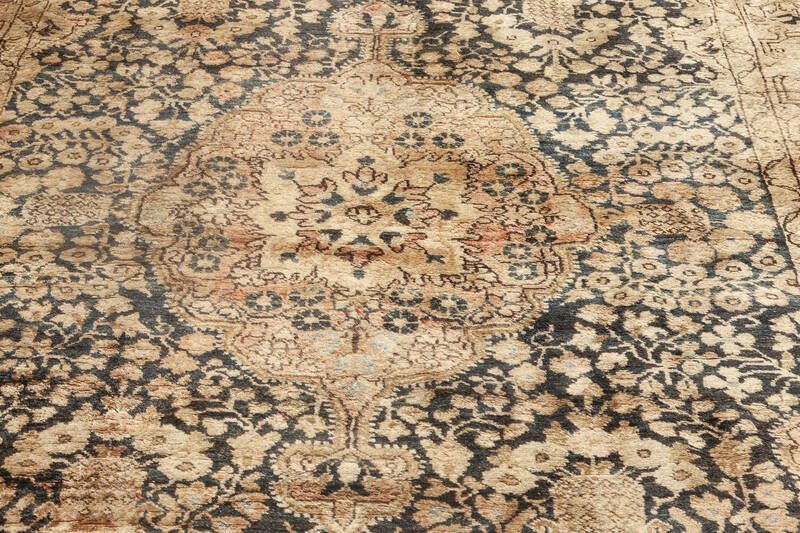 Their natural elegance combined with luxuriously soft piles makes Persian rugs true treasures of Middle East. 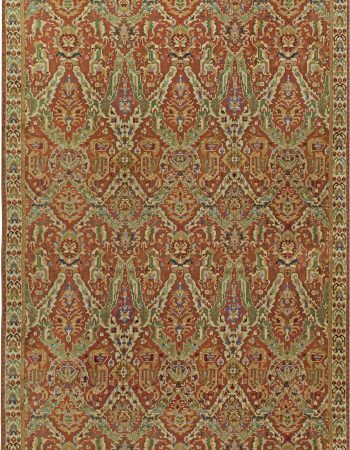 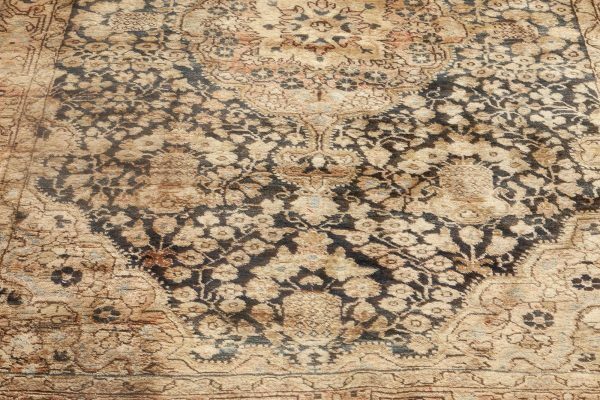 The reason why we can appreciate the marvelous designs of antique Persian rugs weaving decades after it was created, is its astonishing quality. 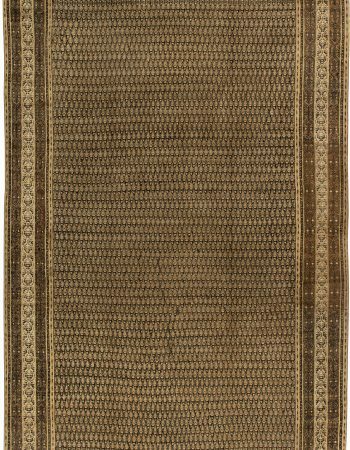 This stunning Persian rug was woven by a skilled artisan in the mid 20th century, circa 1950. 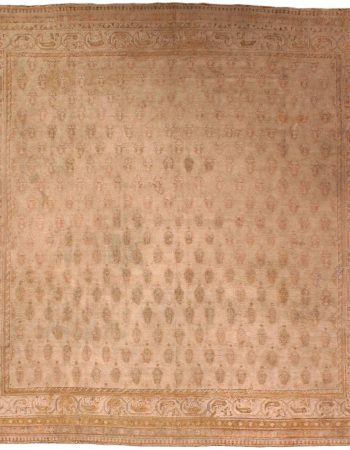 Made The rug boasts a stunning pattern, inspired by traditional Iranian designs. 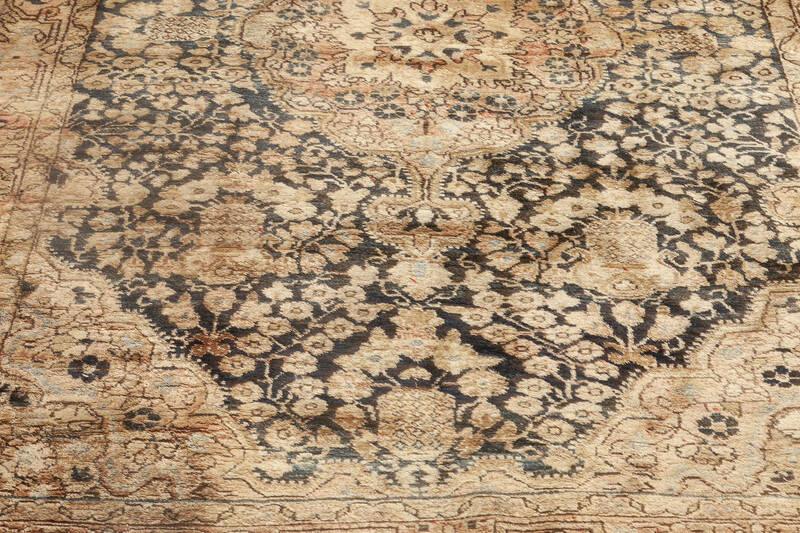 The main field is decorated with a dense allover trellis of thick leafy vines and floral motifs. 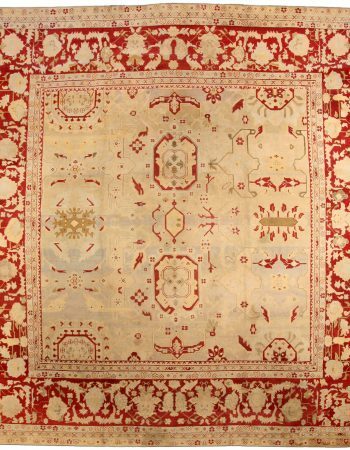 Entire design is framed by a geometric border, enriched by a floral motif. 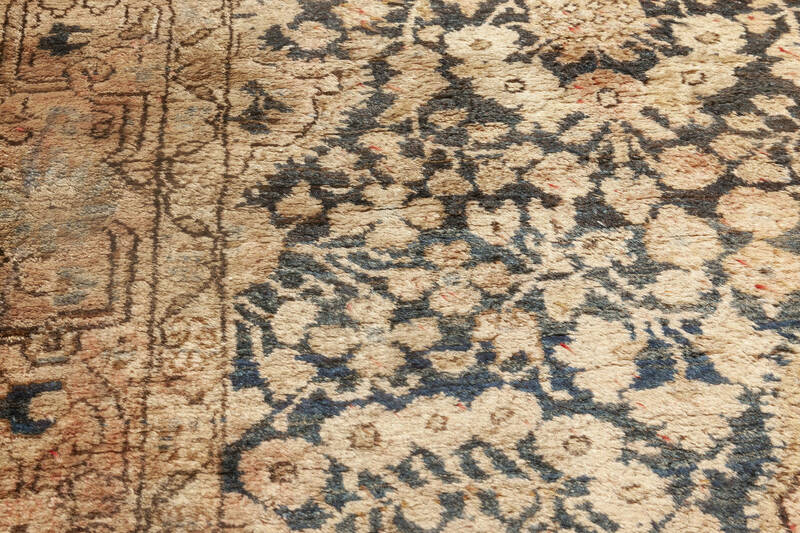 The color palette of this piece includes enticing shades of chocolate brown and creamy beige, contrasted with deep blue. 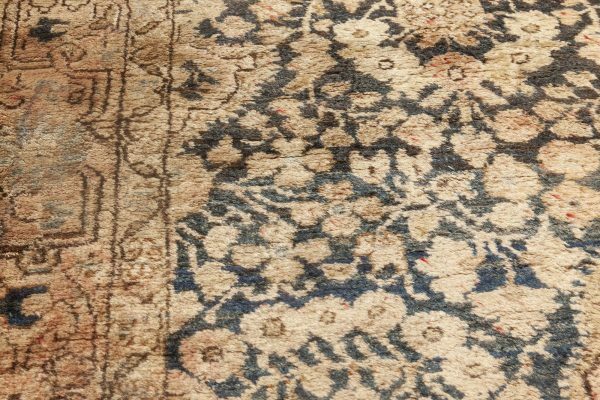 Here at Doris Leslie Blau we take a great pride in what we do and nothing makes us happier than the knowledge that our hard work is appreciated by both our clients and countless interior design magazines, such as Architectural Digest or Vogue. 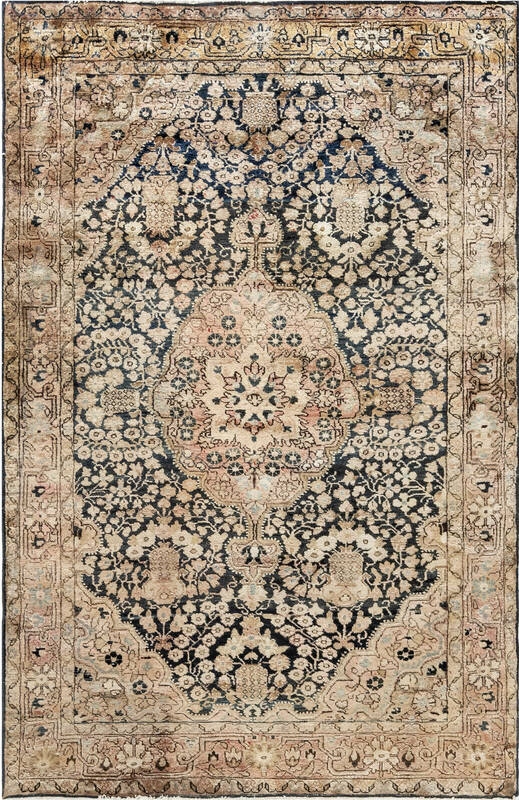 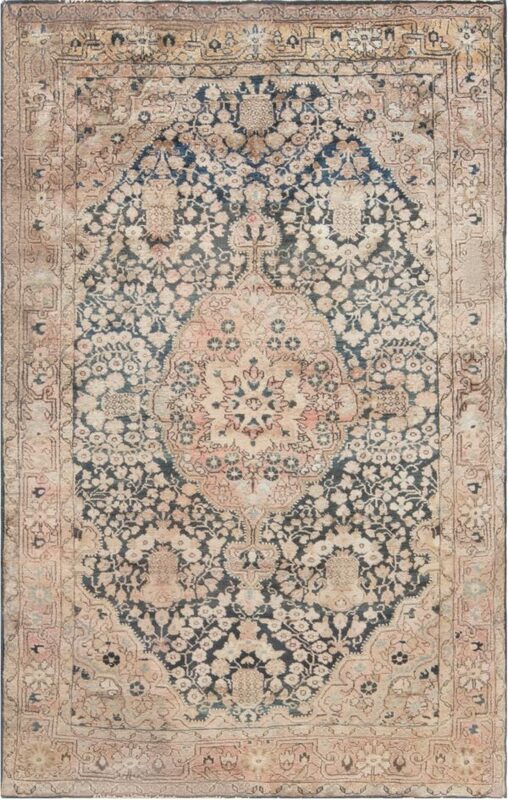 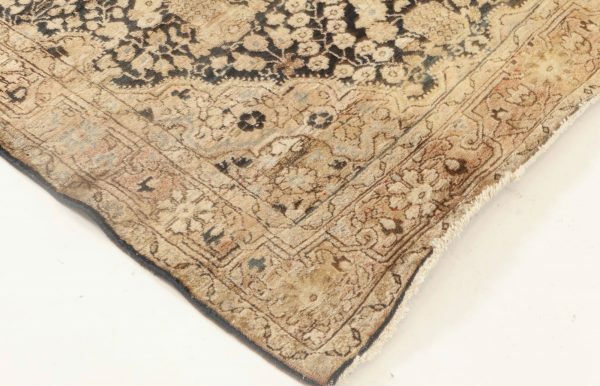 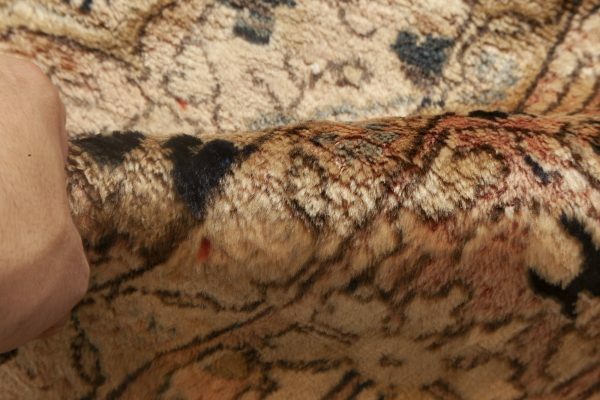 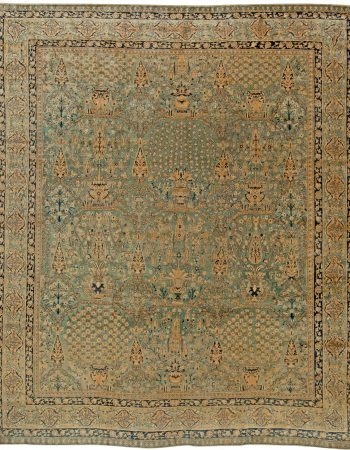 Leslie Blau’s collection of antique rugs and vintage carpets is sure to satisfy even the most demanding connoisseurs.